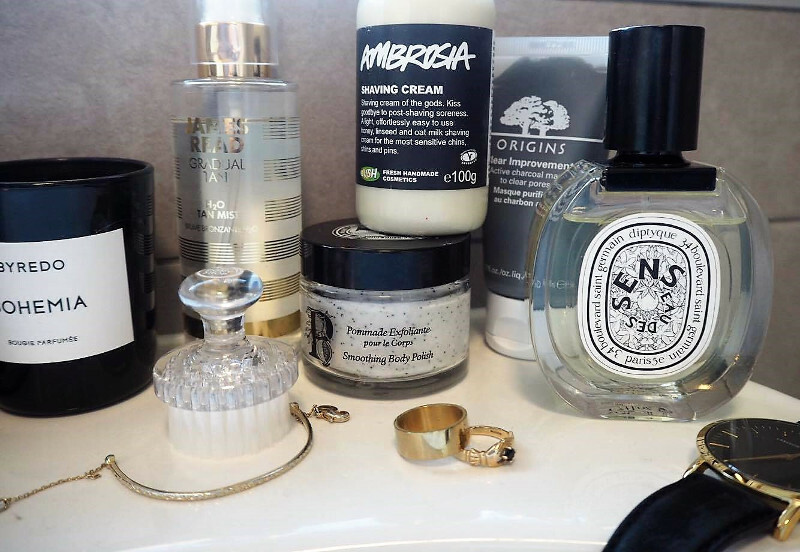 January overhauls can take a multitude of forms; whether it be body, mind, or in my case, skin-orientated. The effects of Christmas in terms of skin aren't desirable; suffering from the cold and drying effects of central heating, lack of vitamin D that drains all signs of life and the consequences of over-indulgence all contribute to make dullness and reptile-like skin a reality for the beginning of a new year, new me situation which is less than idyllic. 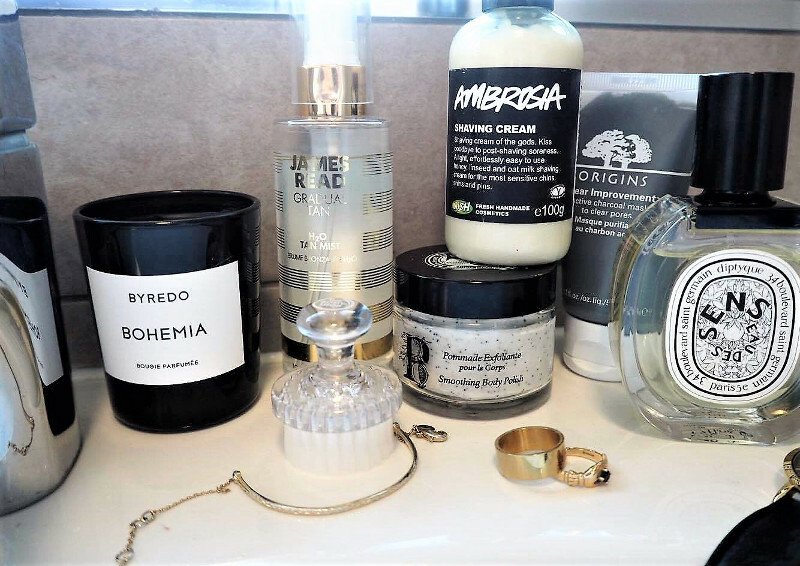 The festive season isn't all bad in this realm; I've attained a few new skincare gems as both gifts and sale-steals to counteract all the factors against me, lessening the inevitable January blues that are set to kick in right about now.. 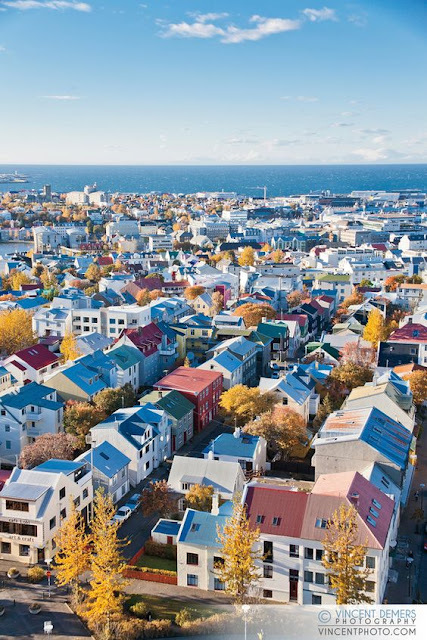 I've been using shower gel when shaving for as long as I can remember out of ease, but it isn't quite the same as proper stuff and since Lush house everything under the sun that you could want for your body, inevitably they were going to have a solution. 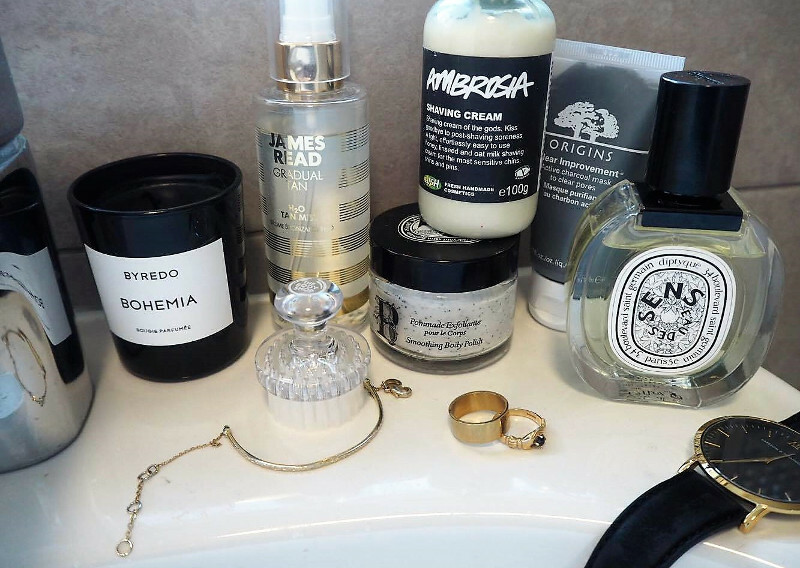 When your skin's already dry as it is given the time of year, a formula with replenishing, protecting and hydrating qualities is essential (with honey, oils and cocoa butter) and I've noticed a difference already. 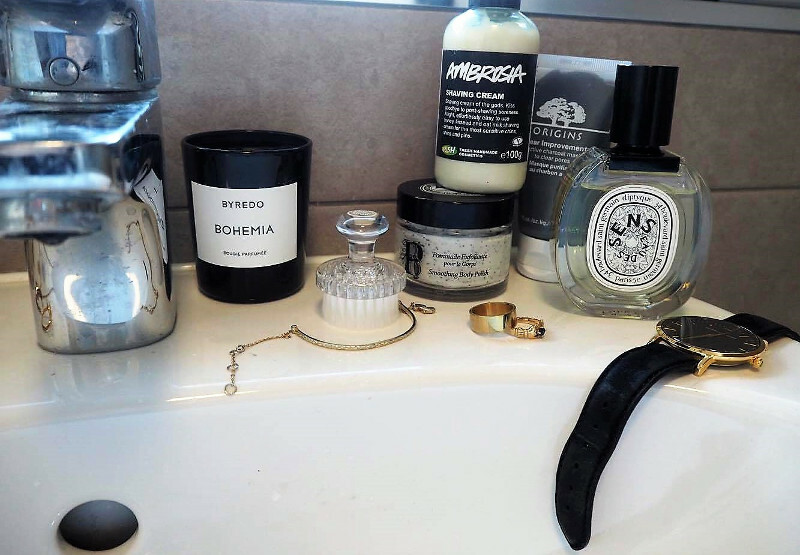 Similarly, exfoliating your body is as necessary as your face, but often neglected (very guilty of this). Enriched with pomegranate oil, jasmine and peach butter, the Diptyque Smoothing Body Polish is gentle and effective in doing exactly what it claims to and will resurface it's texture whilst leaving a dreamy scent. 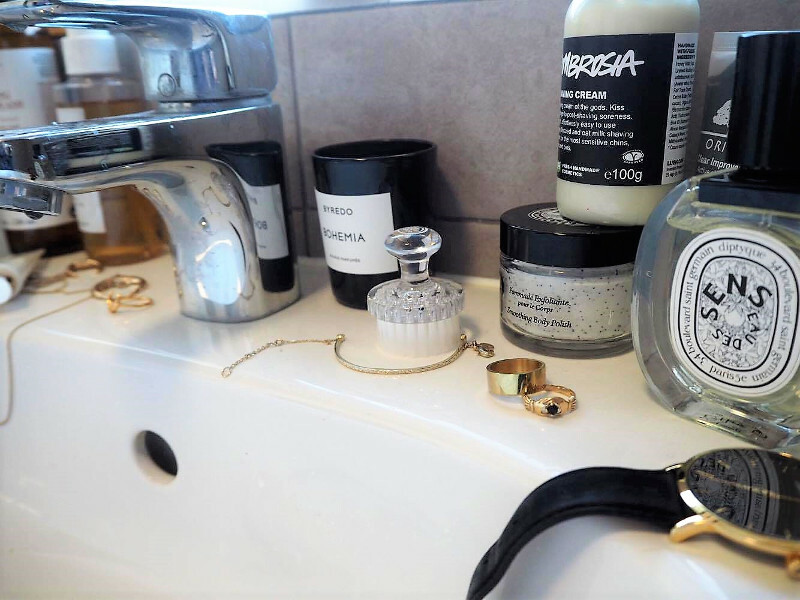 Bringing my dull skin back to life has been the work of alternating between the Clay Slip Cleanser and Calendula Face Wash; both beautifully-scented and nourishing some moisture back into my neglected skin-cells. 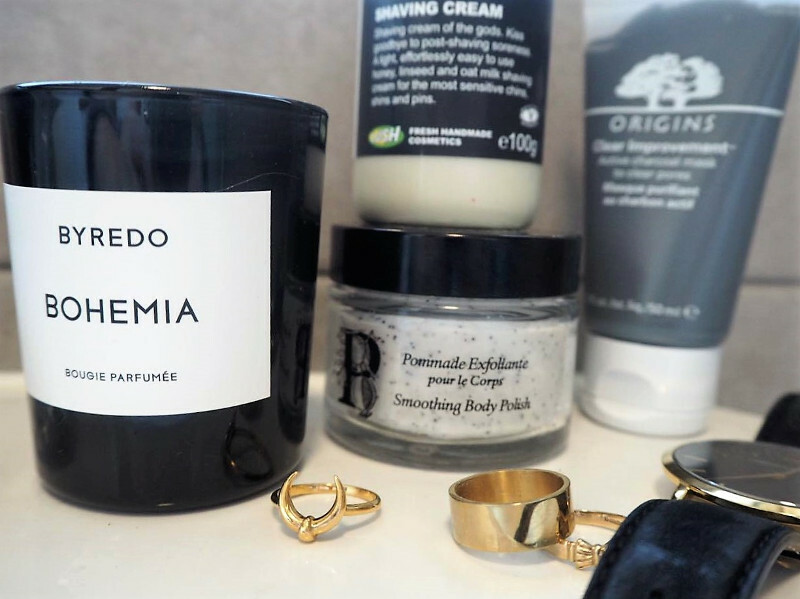 Origin's Charcoal Cleanser has been on my radar for a while, and it's living up to my expectations in calming breakouts that I imagine have been acquired from over-indulgence of sweet-stuff over the festive period. Light in texture, smoothing and effective, a must-have in the world of masks. My bedraggled locks have seen better days and are still in serious need of some uplifting in both colour and condition during this winter, but still standing by my most-coveted hair investment of the past year, Ouai's Wave Spray is bringing some much-needed volume into my (hair) life. 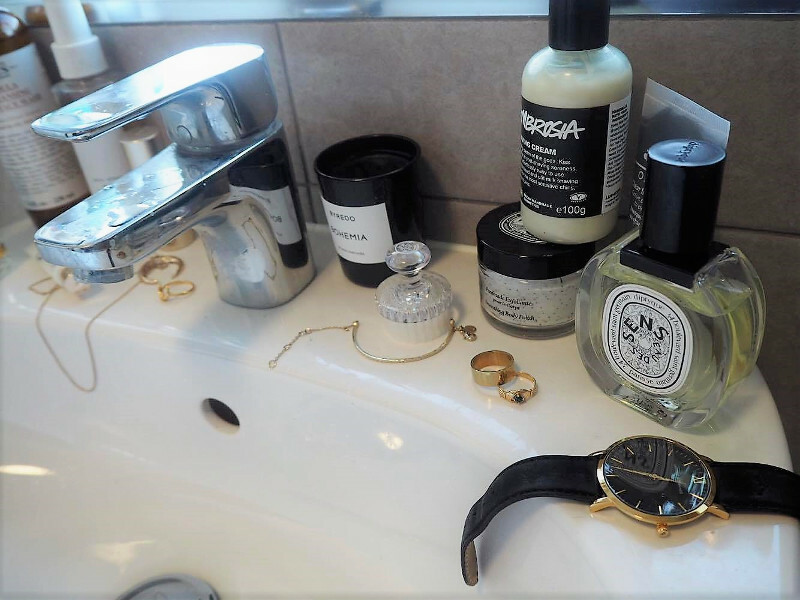 No dressing table (or bathroom sink) is complete without a delicious-smelling candle to complete the look. 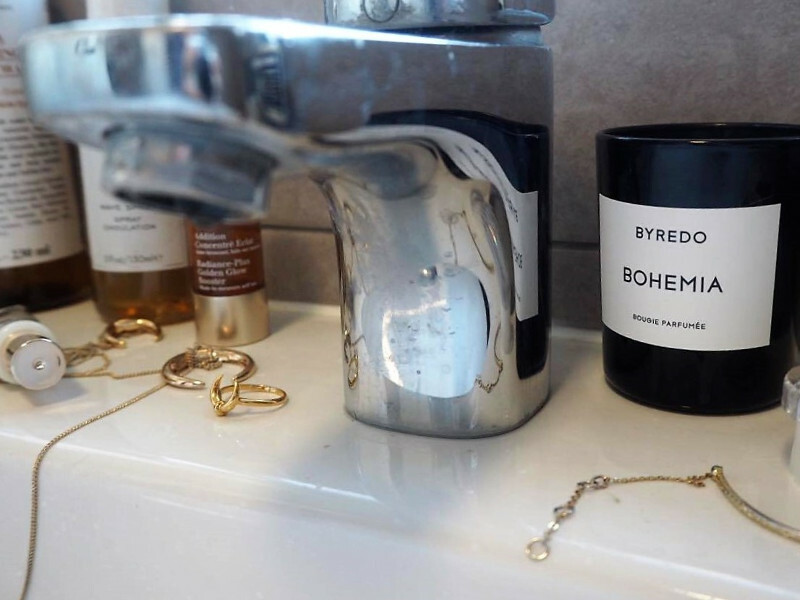 Byredo's candles are just shy of heavenly; chic in design and irresistible in fragrance. I picked up this miniature Bohemia in Space NK recently and I have no regrets thus far. 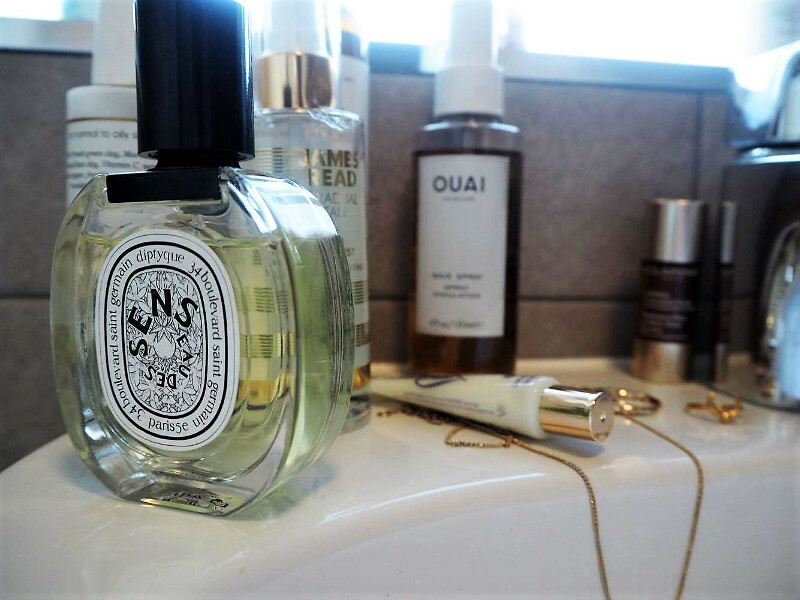 Likewise to Byredo, Diptyque have mastered the scents of the gods. 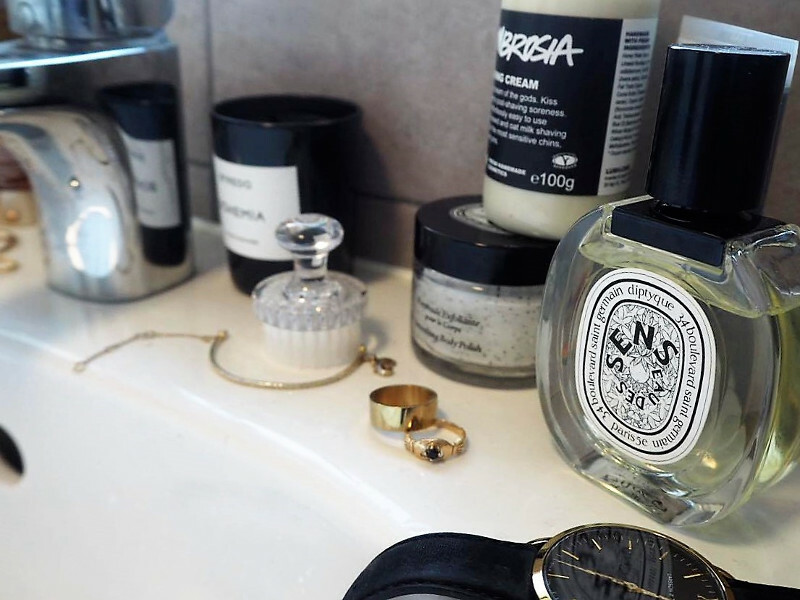 Eau des Sens has a resonating scent of orange blossom, juniper berry and patchouli which is light enough for day and sophisticated enough for evening. 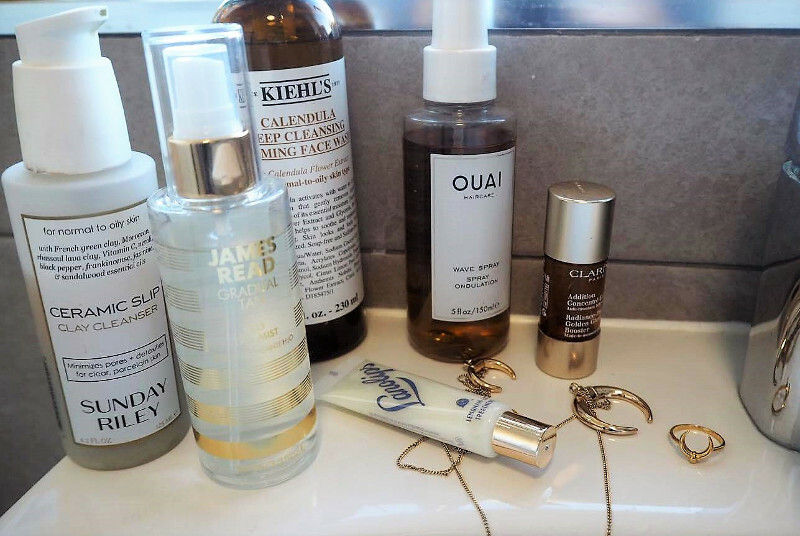 One of those perfumes you want to wear all the time, it is not destined to last very long..
A new addition to my skincare regime, a few sprays of James Read's H20 Tan Mist is emulating a golden-glow from non-existent sun rays in my proximity. One of the least high-maintenance tans I've used, and not a streak in sight (a godsend in my book). Not-so-much a newbie, a product I've sworn by for years now is the Clarins Golden Glow Booster which gives that perfect shade of non-orange tan to bring you back to life.